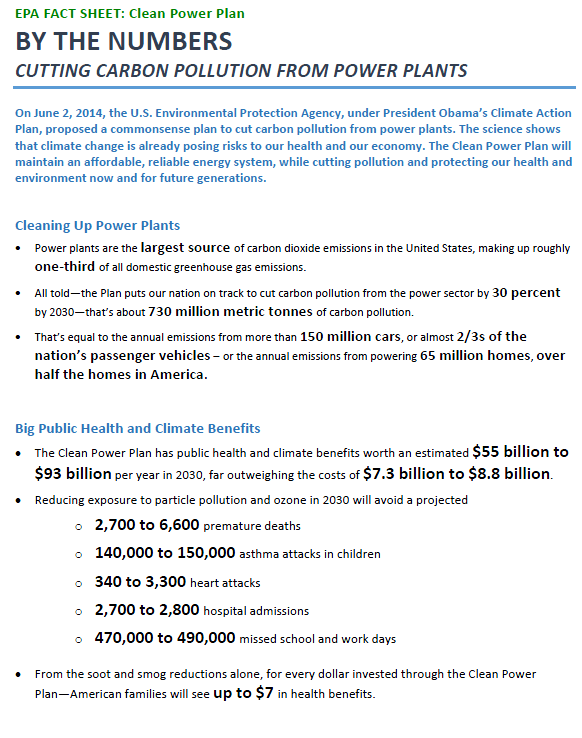 EPA leaves out the most vital number in their fact sheet | Watts Up With That? Which, no doubt, is why it’s not included in the EPA Fact Sheet. It is not too small, however, that it shouldn’t play a huge role in every and all discussions of the new regulations. We have used the Model for the Assessment of Greenhouse-gas Induced Climate Change (MAGICC)—a simple climate model emulator that was, in part, developed through support of the EPA—to examine the climate impact of proposed regulations. MAGICC version 6 is available as an on-line tool. We analyzed the climate impact of the new EPA regulations by modifying future emissions scenarios that have been established by the United Nation’s Intergovernmental Panel on Climate Change (IPCC), to reflect the new EPA proposed emissions targets. Specifically, the three IPCC scenarios we examined were the Representative Concentration Pathways (RCPs) named RCP4.5, RCP 6.0 and RCP8.5. RCP4.5 is a low-end emissions pathway, RCP6.0 is more middle of the road, and RCP8.5 is a high-end pathway. The emissions prescriptions in the RCPs are not broken down on a country by country basis, but rather are defined for country groupings. The U.S. is included in the OECD90 group. 1) U.S. carbon dioxide emissions make up 50 percent of the OECD90 carbon dioxide emissions. 2) Carbon dioxide emissions from electrical power production make up 40 percent of the total U.S. carbon dioxide emissions. Figure 1 shows the carbon dioxide emissions pathways of the original RCPs along with our determination within each of the contribution from U.S. electricity production. Figure 1. Carbon dioxide emissions pathways defined in, or derived from, the original set of Representative Concentration pathways (RCPs), for the global total carbon dioxide emissions as well as for the carbon dioxide emissions attributable to U.S. electricity production. As you can pretty quickly tell, the projected contribution of U.S. carbon dioxide emissions from electricity production to the total global carbon dioxide emissions is vanishingly small. The new EPA regulations apply to the lower three lines in Figure 1. To examine the impact of the EPA proposal, we replace the emissions attributable to U.S. power plants in the original RCPs with targets defined in the new EPA regulations. We determined those targets to be (according to the EPA’s Regulatory Impacts Analysis accompanying the regulation), 0.4864 GtC in 2020 and 0.4653 GtC in 2030. Thereafter, the U.S. power plant emissions were held constant at the 2030 levels until they fell below those levels in the original RCP prescriptions (specifically, that occurred in 2060 in RPC4.5, 2100 in RCP6.0, and sometime after 2150 in RCP8.5). We then used MAGICC to calculate the rise in global temperature projected to occur between now and the year 2100 when with the original RCPs as well as with the RCPs modified to reflect the EPA proposed regulations (we used the MAGICC default value for the earth’s equilibrium climate sensitivity (3.0°C)). The output from the six MAGICC runs is depicted as Figure 2. Figure 2. Global average surface temperature anomalies, 2000-2100, as projected by MAGICC run with the original RCPs as well as with the set of RCPs modified to reflect the EPA 30% emissions reductions from U.S power plants. In case you can’t tell the impact by looking at Figure 2 (since the lines are basically on top of one another), we’ve summarized the numbers in Table 1. In Table 2, we quantify the amount of projected temperature rise that is averted by the new EPA regulations. The rise in projected future temperature rise that is averted by the proposed EPA restrictions of carbon dioxide emissions from existing power plants is less than 0.02°C between now and the end of the century assuming the IPCC’s middle-of-the-road future emissions scenario. While the proposed EPA plan seeks only to reduce carbon dioxide emissions, in practice, the goal is to reduce the burning of coal. Reducing the burning of coal will have co-impacts such as reducing other climatically active trace gases and particulate matter (or its precursors). We did not model the effects of changes in these co-species as sensitivity tests using MAGICC indicate the collective changes in these co-emissions are quite small and largely cancel each other out. June 12, 2014 in EPA. And of course these models assume an unproven feedback being positive? The Obama EPA wants the U.S. to commit economic suicide based on some green agenda that offers no evidence or rationale for its execution. Everything else is baseless speculation. the President wants to lock in those gains and manipulate the market to see that the same decline takes place in twice the time. A cold lasts 14 days. With a doctors help, it can be cured in 2 weeks. Under the Obama plan, colds will be a thing of the past. Whatever ails you, it can’t be a cold. The regulations say so. The common cold is cured. Next step, the cure for bad weather. Meanwhile….the Joe Biden – social – justice -left are calling for an unfettered continuous stream of carbon-zero- 3rd – world – immigrants to fuel our manufacturing industry and economy of the future. I’m certain epa calculated the growth of the economy and population demands in electricity in their projections, no? Interesting the EPA arguments over coal and mercury. Turns out that small amounts of mercury are vital to proper brain development in humans. That without mercury, the brain doesn’t form properly. It is only high doses of mercury that are toxic. Small doses are vital. The problem with most environmental regulations is that they based on a false understanding of nature. Everything in nature is toxic at high doses. Oxygen, food, even water. Too much of a good thing is bad. The false science is to take things that are toxic at “high” doses, and assume that they are toxic at any dose, and thus must be reduced to zero. By this logic, we end up reducing food, water and oxygen levels until they are also zero. We had to kill him to save his soul. All things in moderation. Perfection is the enemy of good. The far better method is marginal cost vs marginal benefit analysis. Using that method, it is far easier to see how much money is spend/wasted chasing each level of benefit. I stand to be corrected, but it seems to me that the number 0.018 C represents the maximum that global temperatures will rise, rather than an average. I wonder if said journalist actually has a brain? I’m not sure this is all that good of an argument against either this regulation in particular or CO2 emission regulations in general. The counter arguments are just too easy: 1) we have to start somewhere (duh) and 2) see, you’ve just shown that we need to do a lot more. Perhaps strategically it would be better to just leave it alone and let them claim this solved the global warming problem the same way they believe the CFC ban fixed the ozone problem. With our economy in the tanks due to lack of dividend profit gain, sucked out by expensive electricity, to send to stock holders, I will no longer have to continue to try to be bilingual. However, if Mexico decides to become an industrial giant, they may have to learn to speak English. Right, dbstealey. CO2 in the atmosphere is good for us. That’s why Venus is such a paradise. That’s 0.002 K/decade less warming, according to their ‘logic’. Of course, in reality it’s exactly Zero. It will, however, mitigate job creation and economic growth. The really sad thing about people that project climate out many decades ahead is their assumption that the world geopolitical system is in stasis. Imagine at the beginning of the 20th century someone projected a century ahead. They could not have foreseen little things like WWI and WWII. They could not have foreseen the radio then TV then Internet age. They could not have foreseen the nuclear era. The arrogance of people that pretend they can tell us the future that far ahead is pathetic. Suggest that if they were that good at predicting the future, they would make billions in the stock market. The number is called “statistically insignificant” by mathematicians because it represents a number so small that, for all practical purposes, it can be ignored. I believe we do damage to our POV by stating that CO2 can not by its self cause warming. That is not a proven fact of course, but it also is not “baseless”. The argument we can make is in the second hypothesis …. That of feedback. We are dealing with two separate arguments and by not separating the two we provide ammunition for the warmers by giving them the low hanging fruit. By concentrating on feedback we force them into science and away from dogma. Interesting. It appears the EPA cost benefit analysis was based on cost to the US versus benefit to the entire globe. When you look at the benefit to the US, the benefits are much smaller. by that logic, if the US government spends $1 billion that hurts the US economy to the tune of $2 billion but benefits China to the tune of $5 billion, does that $1 billion in cost truly create a benefit of 5-2 = $3 billion for Americans? some Americans might wonder if spending taxpayers money to benefit foreigners is really generating a benefit to taxpayers. wouldn’t it make more sense to let the foreigners pay taxes to benefit Americans? just asking. ‘The motivation for the EPA’s plan comes from the President’s desire to address and mitigate anthropogenic climate change. Um, I hate to say this (yes, I know if I truly hated to say this I wouldn’t be saying it, but it’s ok ’cause I’m typing it), but it’s pretty naive to assume the EPA’s plan comes from the POTUS’s desire to address AGW. It actually comes from Obama’s desire to impress Michelle. Now, we know Michelle has a jealous streak a mile wide (or wider than her hips if that’s a better description). And, after a certain, very public tryst with the Danish P.M. that Barack had; the female Danish P.M.; the hot female Danish P.M.; the temperature of the planet Earth rose more than a couple degrees, courtesy of Michelle who was in attendance during this tryst. Anyway, we’ve all heard that the US has something like only 5% of the world’s population yet uses 25% of the world’s energy. [I guess the expected response is for us to put our tails between our legs (especially for a certain someone when he’s around the Danish P.M.) and hang our heads in guilt.] However, I think it’s undeniable that a greater energy consumption generally goes hand in hand with a higher standard of living and aggregate affluence. So, it must follow that to hang our heads up high, and pull our tails out between our legs (but not Barry when he’s around a certain P.M.), the implication is that we must lower our standard of living and reduce, if not eliminate, our aggregate affluence. Now, when Obama won the election Michelle’s first words indicated that for the first time in her entire life she was finally proud of the United States. Well, to win her back, and to receive the world’s appreciation, Obama must once again make the US a place she can be proud of again. And, clearly, the way to do that is to make the US the greatest nation on Earth by being the poorest nation on Earth. And, I mean flat broke. Penniless. Without a pot to p in. That’s really what this whole plan is for. Eliminate energy. Eliminate lifestyle. Eliminate affluence. It’s either that or Valerie Jarrett. Does the foregoing make sense? If yes; than you understand the Obamas. If no; then you’re normal. You see what happens when people learn their science from television. Indeed it is. Without it every living thing on the planet dies. Americans (I mean of the U.S. variety) are not the only ones with a problem trying to persuade their government to justify CO2 reduction projects in terms of temperature, rather than tonnes of emissions averted. Atmoshperic density on Venus is more of a culprit than atmospheric composition. Same reason its warmer at sea level than at altitude here on Earth. Kit you missed the part where EPA’s own model was used to show information they conveniently leave out. If Professor Murry Salby is right there is no correlation between atmospheric CO2 concentration and anthropogenic emissions as the variation in natural sinks and sources is so much greater than the human addition it gets lost in the mix. So what is the EPA trying to control ? Not to diminish the work that went into this article, but the calculations are based on the assumption that atmospheric concentration is controlled by human emissions, so they not only are miniscule but based on flawed understanding of the atmosphere so they are ultimately meaningless. It’s called reductio ad absurdum, KC. See if you can capture that and store it somewhere safe. The Green Agenda is really donor group greenbacks from the Party perspective. It was all the CIA employees at EPA that left out the key number. Many old people will die of exposure. Perhaps that’s the desired result. Obama’s concern for the environment is a charade. The government’s insatiable desire for more power and control is the real motive behind the war on carbon. Obama like all those before him fully support the greed driven growth of the economy requiring massive consumption of energy. The energy policy embraced by the greed brains is to burn everything and burn it quick before someone else does. Saving energy has been a fantastic excuse for more governemnt regulations, but no energy is being saved. All the energy produced is burned just as fast. Just as saving the environment means plowing up millions more acres just so biofuel can be burned in megasized SUVs. Obama is a joke and anybody who buys his agenda is a fool. Non-sequitur. Up to a point CO2 is neither helpful nor harmful to “us”, it is a trace gas. Indirectly, as others have pointed out, it is vital. Without it the carbon cycle ends and so do we. Whether any place is a paradise depends on your personal definition of paradise. I find Iceland to be paradise, your mileage will probably vary. 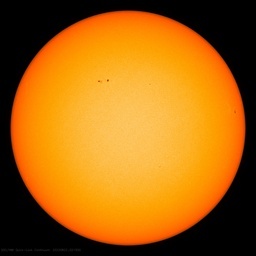 Some people prefer warmer places; Venus is warmer — and considerably closer to the sun (duh). I wonder if anyone has ever done a survey or vox pop of the general public asking them by how much they think the average temperature has risen during, say, the last century. I suspect most people’s answers would be several degrees of warming and almost all wildly higher than even the most tortured data suggests. After all the propaganda I would have thought most people would be surprised by the “real” number and wonder what all the fuss was about. You are welcome! I just saved you there from +0.02 C – or whatever number they label their programs – . Can´t stay for the million thanksters saved from certain modeled doom, I have to jet out to pick up my Nobel! I´ll send you postcards because remember, it is YOU who shouldn´t make any carbon footprint! Last request: Please, please, if you have sufficient enviromental awareness syndrome, stop your breath and save the Earth! This is not part of any “green” agenda. The Agenda is entirely red. That is why this war can never be won on the strength of science. The enemy is not using it in the first place. They are willing to lie, kill, and destroy the minds of our children, in order to achieve there goal. Perfect answer. TedEZello is a low information voter, and not up to this site’s minimum education standards. He’s a Bill Nye kinda guy. I believe we do damage to our POV by stating that CO2 can not by its self cause warming. I state categorically that CO2 by itself can not cause warming. I state that with no fear of contradiction. Upon review, I’m going to forward a motion to table all further comparisons between Venus and Earth due to the need to reduce the level of absurdity in this debate. Chip and Patrick, my thanks for a very clear, very detailed analysis. It will be hard for anyone to poke holes in your figures. I’m sure you know this, but for others, this estimate is a “best-case” estimate, and that there is no certainty that we will see any temperature change at all. … And yet MSM never asked the most obvious question addressed by this article – how much AGW will this avert ? If there was any doubt MSM is just a mouth piece for politicians & similar ilk pushing agendas, that should erase that. I love how the authors totally destroy the benefits of reducing “carbon pollution ” ( as the current administration likes to call it) using the tools provided by administration . Ouch ! One of the main differences that has a real significance on our atmosphere is the existence of our ridiculously oversize moon. It also was a lot closer originally, stripping off massive quantities of gasses. Not only this, but the catastrophic events that created our moon in the first place make any comparison between Venus and Earth is silly in the extreme. Mars broadly has the same percentage of Co2 in its atmoshere, and yet it is damned cold. It would appear that the high temps on Venus are not due to CO2, just like the low temps on Mars are not due to CO2. The moon has a huge role on the climate of planet Earth. Shortly after formation, the moon was so close that days lasted only 4 or 5 hours. There was only 2 to 2.5 hours of darkness. Over time, the moon has receded and with it our days are lengthening. The moon holds up steady in our about 23 deg tilt, without such tilt we would not have the seasons, and of course it drives the ocean tides. events would be very different on planet Earth if we did not have the moon. The issue with the EPA regulation is how much is each one hundredth of a degree going to cost. how much damage will it inflict on industry and the competitiveness of the USA, and drain on the wealth of its citizens. Ref mercury and it’s “vital” role in life processes. I am genuinely interested in what you say. Can you please provide some references for me to read? (and I most certainly will). Others here may also be interested. Are you please able to clarify which biochemical process it’s a co-factor in and precisely what metabolic pathway mercury mediates? Your post-tax dollars: $200 billion. Your reduction in global temperatures: 0.018C. Vote Democrat: they know a better way to spend your child’s education fund. jones, this won’t answer your question directly, but the concept is know as hormesis, and is documented quite well. Google BELLE (Biological Effects of Low Level Exposure). For an article specifically referencing the benefits of heavy metals, see: “Metals in Perspective”, Journal Environmental Monitoring, 2004,6, 14N-19N. Thanks, Paul C. “Chip” Knappenberger and Patrick J. Michaels. Very good essay. Yes, it is interesting to know that the attainable goals are too small to mention but not too small to hype. Ah, the futility of trying to affect Earth’s climate! Or Mars. Don’t forget Mars. Darn it Motogeek, you beat me to it. Ha, I just found out the link was originally for me on that forum (as I’m Proton2 there). I like Models. I’m a computer scientists. I build Models, in code. I’ve built Models that didn’t work because they ran out of computing resources. I happen to know that the climate Models are Ca<=>rp. They have to leave out parameters / time steps / resolution, in order for them to finish their run before the end of time. Sorry having to tell you that you aren’t skilled enough for the work you do. Who I am to tell you that? I became Systemprogrammer 1971. No matter that I studied to become a teacher in history, religion and such later on. I have updated my skills year by year. To tell you the truth: If you know how to write what still is needed but most of you seem to forget – a flow plan for the full system – you would have known that there are methods so you never ever will have problem with computing resources. It’s all about how you write your system, which program language you use for what. Of course we who had Saab (airplane) hand in hand with the university when we studied had special benifits in learning how to avoid such, but neither I nor persons who studied side by side of me then, among them one today a prof., look upon you who write today’s models as skilled computer scientist. Btw. I had to write a complex model program back in 1993 – in order to be able to do my special research I had to know ocean sealevels from mid Stone Age up to 1000 AD. I used 43 variables. Could have used more in my model but that’s the lowest possible to be able to have any plausibility for correct levels. Not only have you today missed that even if A can lead to B and B can lead to C that’s not the same as A leading up to C. That’s understandable that some miss. But you also forgotten two things: Neither have any of you model-makers identified and taken the 10 most essential factors into consideration. You also forgotten that fallacies in argumentations doesn’t prove one thing nor is it sound Theories of Science approach not to check all premisses needed for an argument to be valid argument. And btw it’s not complicated at all to write a good model – it only takes skill. Forgot to tell you – I wrote one of the first complexed seach engineprogram – when? 1980. Got a lot of money for the small part usage I agreed to sell only to be used for free searching in ‘library’-way. It’s still in use for such purpose……. garymount: I happen to know that the climate Models are Carp. It’s a wonder that Chip Knappenberger and Patrick Michaels ever vote in elections. Do they really think that their individual votes will have a significant outcome on the election? I propose that all of you who frequent this website stop voting…and get your similarly-minded friends to do the same. Maybe you can get Rush Limbaugh or someone of that ilk to take up the cause. Why waste your time and resources when each vote contributes so little? That’s the thing about collective action: It takes a lot of people doing it to make a difference. Of course, having a modest reduction in one sector of one country’s economy for a 15 year time period is not going to directly reduce the emissions that much (even if it is a major sector of the 2nd biggest CO2-emitting country. The point is that it will encourage other countries to do the same. And it will enable them and ourselves to do so by encouraging the investment in the new technologies that will allow us to produce and use energy without emitting as much CO2. It will get us on a path to a new future that will extend beyond 2030. Every journey begins with a single step. And, for every journey into the future, there are always the naysayers who want to stick with the old outdated technologies and to ignore the science that tells us that it is imperative to find new technologies. Collective action that leads collectively to no net benefit is wasteful at an efficiency of 100%. All money for no benefit. Interesting, no? One of the major arguments against burning coal is that people downwind die from breathing smoke. The number for Toronto deaths caused by the Nanticoke power plant was given as 1600 or thereabouts. Someone correctly said, show me the bodies. Now that it has closed, we should see a reduction in the number of bodies, yes? How much do you want to bet there were no bodies, and there is no reduction in deaths? Climate alarm about CO2 is not based on reality. It is based on ‘stuff’ that people Just Make Up. Fabricated facts. If the effect of legislation is a massive reduction in power generation for no discernable benefit (below the detection threshold) then the expense is a straight waste, the destruction of value for no net benefit. I ask this question often; soon into any discussion of “climate change” to provide an indication of the basic knowledge level of the person I am talking to. Most answers are in the range 5-20% this was a bit of an outlier. It does demonstrate that being continually hammered by lies (as we are by our media in Australia) that some of it rubs off. I miss the days when journalism meant presenting all the available facts and allowing the viewer to come to their own conclusions. Those days are long past. By all means go ahead, set the example: and stop using high intensity energy for intensive work, not promoting that OTHERS stop using it or stop intensive works, selling guiltmongering and deluding yourself with a false superior moral stance. India , China, Australia, Russia, and Europe are leading or following? Forcing emerging countries(politicians) to use state of the art OLDER AND INEFFICIENT technology, forcing to borrow debt to aquire it, and go down and broke for it? “Green” entrepeneurs like media elitists that makes money selling and buying carbon credits, sending hiper-rich into JET and ROCKET suborbital JOY rides? Using halfwashed technology replacing analog with digiltal systems, second hand scientists, materials and technology bought from someone else´s work? that kind of entrepeneur? Electric cars, using older technology than gasoline engines? Boat-age-old wind power, with coal backups that generate MOST of the energy atributed to the wind farm? Biodiesel burning forests and wood pellets, carbon neutral ideas? Mandatory use of higher cost/less efficient/ misleading benefits technology? Shutting down lands, sectors and economies, because of imaginary enviromental damage? Alarmist, slander activism and name calling? Expensive feel bad-support-fell good/don´t think/don´t ask ads? It´s gonna work because here is a graph that probes it.(NYT)? USE YOUR OWN MONEY and shut everyone else´s doubts, but then again it´s safer to risk public resources right? Then keep using them, because is the “right” thing to do? Make a fortune and crash the business(Solalinde and the like), and acomplish nothing for the enviroment? I don´t believe in salvation for a buck, neither for a vote. Not exactly your point, but still interesting. 18mK sounds much worse than 0.018K. 18000 microKelvins sounds absolutely deadly. That’s the thing about collective action: It takes a lot of people doing it to make a difference. Of course, having a modest reduction in one sector of one country’s economy for a 15 year time period is not going to directly reduce the emissions that much (even if it is a major sector of the 2nd biggest CO2-emitting country. The point is that it will encourage other countries to do the same. Joel, please point to evidence for that statement. People made exactly the same claim about the Kyoto protocol, that it would encourage other countries to commit similar economic self-destruction … care to tell us how well that experiment turned out? You are a scientist … evidence is your friend. Seriously, Joel, who has been encouraged by any of the countries foolish enough to cripple themselves economically for nothing? Names, please. Because as near as I can tell, all the Kyoto Protocol encouraged was that it encouraged several of its adherents to QUIT the protocol … and as near as I can determine, not one damn country volunteered to sign on in their place. I say your claim is totally without foundation, and that you can’t establish it with evidence. If you can prove me wrong, please do so. Otherwise, your main number one point is falsified. And it will enable them and ourselves to do so by encouraging the investment in the new technologies that will allow us to produce and use energy without emitting as much CO2. It will get us on a path to a new future that will extend beyond 2030. Jimmy Carter said exactly the same thing about solar power, it was just around the corner, investing in the Carter energy plan would allow us to get off of fossil fuels … and here we are, forty years later, and solar is still a pipe dream. Are you really a scientist? If so, LOOK AT THE EVIDENCE. Where is the whiz-bang energy technology that the government has brought us with all of its millions and millions and millions of dollars of subsidies. Wind? Solar? Don’t make me laugh. Biofuels? Ethanol? Fuggeddaboutit. So where do you get your blind confidence that the latest government step will work this time? Because of their great success with Solyndra? Because of the millions thrown at hydrogen? True … even when you are going in the wrong direction. What’s your point? That if we take one step in the wrong direction, we should take more wrong steps? That we should make policy decisions on rejiggering the global economic system based on “Confucius Says” type folk sayings? And, for every journey into the future, there are always the naysayers who want to stick with the old outdated technologies and to ignore the science that tells us that it is imperative to find new technologies. So “science” tells us that it is “imperative” to find new technologies? Joel, I am so tired of scientists playing god. “Science” says nothing of the kind. What we have are a bunch of people running around saying “The Sky Is Falling!! It Is IMPERATIVE to Find New Technologies! Science sez so!” … meanwhile, there’s enough fossil fuels for centuries, and despite decades of searching, nobody has found the fabled “fingerprint” of any human effect on the climate. This idea that somehow the world needs to be guided by science into and through some transition in fuels is just another part of your scientific megalomania. The world first switched from wood to coal and whale oil. Then we switched from coal to oil and natural gas. All without the benefit of “imperatives” from science, we just switched. In closing, let me say that over and over, people have said the same things in the war on carbon—that this is the “first step”, that it will “encourage” others, and “every journey begins with a single step”, and all of that rubbish. We heard that from everyone from Carter on down to you. It’s nothing new. Here’s the bottom line. Suppose this action by the EPA were the first step. It’s not the first step, billions have been wasted on this BS already with no visible effect, but let’s pretend that it is. It is estimated that the new EPA regs will cost the US on the order of $50 billion dollars per year, and by 2100 it is slated to reduce the temperature by 0.02 degrees. That’s a total cost of $4.3 trillion for 0.02°C, or $215 trillion dollars for each degree of POSSIBLE and far from guaranteed cooling. Not only that, but the casualties in your insane war on coal are the poor in places like India. Your chosen “first step” is sentencing them to increased poverty, deprivation, and in some cases death … I’d appreciate your comments on how that undeniable fact plays into your decision making. For example, some folks don’t seem to care. The politically late and unlamented Dr. Steven Chu, for example, said he wanted to drive gasoline prices as high as those in Europe. Won’t make any difference to Stevie, he’s got his chauffeured wheels and lots of money for gas … but for a poor single mom who has to drive to her job, it takes food out of her kids’ mouths. And clearly, Stevie doesn’t care … are you with him in that? You sure that’s the side you want to be on, the side spreading poverty and hunger? Because that is the clear effect of the policies that you are supporting. You must remember when you were a kid, and cheap electricity was seen as the salvation of the poor, the farmer, and the housewife? Well, it still is their salvation all over the planet, Joel … it still is. And despite that, you are pushing to make electricity more expensive, and falsely claiming that science says that it is “imperative” to make it more expensive … hogwash. It is imperative to make electricity as cheap and available as we possibly can, there is no other path out of poverty for the poor of the world. Anyhow, there’s a few questions for you to answer, if you choose. Or not, your choice … and I can see why you might choose not answer them. June 13, 2014 at 1:30 am……. thanks for articulating those points again. The 0.018C number comes from using high estimates of ACO2 sensitivity like 4C/ ACO2 doubling. If one uses the ACO2 sensitivity that we have MEASURED over the last 35 years (that is, if all of the warming is attributed to CO2, and even that’s a stretch) then the 0.018C number drops by a factor of 4 and becomes something less than 0.005C. Again… when will the oceans start to boil? It isn’t about global warming or climate change. It’s about ever more government control and sucking ever more money out of us. They will claim this will confused the Red Chinese to emulate us. Funny, they haven’t emulated us on actual air pollution, the Bill of Rights, or multipiparty representative democracy. But somehow they will take Obama’s lead on this one issue. But, the most important thing to look at is the historical track record of such estimates. And, that track record shows that industry estimates of the costs of environmental regulations tend to be wildly inflated. In fact, even the EPA’s own estimates tend to run high of the mark. (See, for example, http://www.wri.org/blog/2010/11/epa-regulations-cost-predictions-are-overstated and http://prospect.org/article/behind-numbers-polluted-data ). Furthermore, you made a completely bogus estimate even more bogus by extending the U.S Chamber of Commerce estimate for the regs through 2030 out to 2100, even though Michaels and Knappenberger assumed no additional cuts after 2030. You are just an economic alarmist and, unlike what you guys like to call “alarmism”, such economic alarmism is totally lacking in any credible scientific support whatsoever. Willis, thanks for your comments but, that is a totally bogus estimate from the U.S. Chamber of Commerce, who has long opposed such regulations, and I am surprised to find anyone who calls themselves a skeptic taking that number seriously. That’s Dean Baker, a prominent Washington, D.C. economist and the co-founder of the Center for Economic and Policy Research, reacting to the argument that new federal regulations to cut carbon dioxide emissions from power plants will drive up energy costs for lower-income Americans. The rule was announced Monday, and on Wednesday 41 GOP Senators wrote a letter to the White House expressing their concern that the costs would “fall most heavily on the elderly, the poor and those on fixed incomes,” by raising electricity rates and energy costs. Conservative interest groups, House Republicans, political commentators, and the Wall Street Journal editorial board have added to the chorus, arguing the carbon rule will make the poor poorer and kill their jobs. The citation you give is pushing the same line that Gina McCarthy is pushing—there will be no increase in energy bills from putting on such onerous regulations that some plants will close. Look, I can understand you don’t like the $50 billion per year estimate. It’s just an estimate, and if you have a better estimate, I’m more than willing to listen. But your claim in your citation, that there is nothing to support the idea that closing a number of coal plants and imposing high costs on others will have no effect on electricity costs, flies in the face of all experience. That’s a fantasy world, not a citation. The White House cites as myth the projections by the U.S. Chamber of Commerce that the regulations will reduce employment by 224,000 jobs annually, hike electricity bills by $289 billion and trim $500 billion from household incomes. Europe’s experience with such hardline carbon rule-making would suggest the chamber’s claims are more credible than the administration’s. Clean energy investment among European Union members dropped 14 percent in the third quarter of last year, as governments reconsidered policies similar to the ones Obama is putting in place. So you’ve given us 2 citations. One of them says oh, no, the closing of power plants won’t raise electricity prices … seriously? And one of which says flat-out that the European experience suggests the $50 billion per year is a better estimate than the administrations. But heck, Joel, We can solve this right now. Let me cut the $50 billion per year estimate by a factor of ten. That means that the price of a POSSIBLY avoided degree of temperature rise eighty years from now is $21,000,000,000,000, twenty one trillion dollars with a T. And remember, this is a reduction in household incomes … which naturally and unavoidably hits the poor households the hardest. As a result, your objection is meaningless … and at $21 trillion per degree, I’ll say again—if that is your idea of a “first step”, don’t bother telling me about the second step. Europe is once again building coal plants, despite having closed them, and despite having the type of regulations that you espouse to limit CO2. Does this mean that a) the regulations succeeded, or b) the regulations caused enough economic hardship to make them cry “uncle”? Finally, Joel, for Obama to unilaterally order this change is exactly the kind of imperial presidency that the founding fathers tried to avoid. His assumption of power through various bogus means turns my stomach. I wouldn’t mind so much if this asinine move were being decided in some democratic fashion. Having it rammed down our throats, accompanied by a smug “daddy-knows-best” attitude with no scientific foundation, is a tragedy. Look, Joel, if this were actually about temperature reduction, they would not have left out what the authors rightly call “the most vital number”, the expected benefit. All of your tap dancing and waffling doesn’t obscure the fact that the are doing this for a POSSIBLE reduction of TWO HUNDREDTHS OF A FREAKING DEGREE, Joel. Here’s the question. Would you put that fifty billion dollars into say clean water for the developing world today, or put the fifty billion into improved seeds and drought resistance techniques for poor farmers today … or put it into a 0.02°C guaranteed reduction in global temperature today? Which is the better deal, which gives the most bang for the buck? Now, consider that actually it’s much, much worse than that. We’re not paying for guaranteed temperature reductions today. We’re paying for POSSIBLE REDUCTIONS A CENTURY FROM NOW! And this makes the your objections about the estimated cost immaterial. Given the manifold very real problems in this world of ours, I truly don’t understand how you can defend spending even fifty cents on the possibility of a 0.02°C reduction in global temperature a hundred years from now … but since you do, let me tell you about a beautiful bridge that I have for sale. It’s a great opportunity, I’ll give you ownership for the small, small price of only $50 million dollars … and I promise that you’ll get free and clear title to the bridge in the year 2100. My best regards to you, and my kudos for being one of the few AGW-supporting scientists willing to come here and defend your views. I do hope you answer my other questions. I acknowledge that it’s not always pleasant or easy to espouse and defend one’s claims, my own experience with writing unpopular posts has shown me that in spades, but it is very important to do so. I wish many more AGW supporters had your courage. In reply to Willis Eschenbach… schooling joeldshore. That was really good. I wasn’t anywhere near the wood-shed, but I could still hear the SMACK of the paddle hitting home. Epic. People might relate to knowing how far north they would have to go to offset that tiny increase, or how much higher in elevation, or how long it takes in the morning for a similar amount of warming just from the sun coming up. I don’t know. (Anyone have a reference about that?) And, of course, as previously noted, even their tiny number is highly overstated. I doubt the average person can reliably notice a temperature change of less than a degree or two without a thermometer. Geez, Willis. Get real. It is not without objection. MediaMatters is dedicated to finding lack of objectivity in the conservative direction in the news media and they are quoting the Detroit news as part of a story with the headline, “Editorial Boards Continue To Cite Debunked Study On Carbon Pollution Standards”. They first explain how the study has been debunked and then show examples of how editorial boards of some newspapers are citing it anyway. They didn’t specifically comment on the part about Europe because their article was not dedicated to debunking all aspects of these editorials, but just the use of the U.S. Chamber of Commerce Study. As I pointed out in another thread, the U.S. Supreme Court found that it was the Bush Administration that was trying to get around the law by not issuing an endangerment finding one way or the other in regards to CO2, as they were required to under the Clean Air Act. The EPA under Obama eventually issued such a finding and is then required to act on such a finding, especially if Congress refuses to act. That’s the authority that Congress gave to it under the Clean Air Act and that act has not been repealed. Since we are only talking about a few degrees C total that we need to worry about, decreasing the temperature rise by 1deg C is much more than a first step. That estimate is probably still way high…and it might sound like a big number, but the fact is that it is a number that is equal to less than a third of the current world GDP in one year, which means that averaged over 85 years, it is equal to about 1/3 of a percent of current GDP…And, of course, you really want to use the fact that GDPs in the future will be even higher to realize that it is only going to be a tiny fraction of a percent of the world GDP dedicated to dealing with a very important problem over the next century. It’s a false dichotomy based on false premises. We need to do both adaptation and mitigation. We need to adopt to the climate change that we can’t avoid and we need to get off a path of using all of the fossil fuels possibly available to us, which most scientists conclude would lead to changes in climate that would leave us a very different planet than the one that our civilization has evolved on. That’s true even if the climate sensitivity turns out to be on the low side of credible estimates; if it turns out to be in the middle or on the high side, then we will be challenged to get off the current path and on to a new path in time to avert serious consequences…and especially challenged the more we dilly-dally around, rather than starting to do what nearly all experts think we are going to have to do, with the only real debate being how much time we have to do it. …why do you believe the administrations’ claims that the regulations will NOT increase electricity prices? Obama explicitly stated that energy prices would “skyrocket” under his administration. …we need to get off a path of using all of the fossil fuels possibly available to us, which most scientists conclude would lead to changes in climate that would leave us a very different planet than the one that our civilization has evolved on. Most scientists agree with the OISM statement that CO2 is harmless, and beneficial to the biosphere. There is not a group of alarmists anuywhere that comes close to the OISM numbers. In reality, the alarmist crowd is a relatively small clique of misguided fanatics, led by self-serving riders on the climate grant gravy train. willis- you really miss the boat when you try to justify Anything on the basis of ‘poor people’. argumentum ad populum is especially dumb when you depend on a subset of losers. can you say ‘Muh Rights!’? that’s a winner and always has been. if you can’t defend your rights qua rights- well, you’ll surely be welcomed among the ranks of the losers in the poverty you revere as such a great virtue that it justifies the attempt to violate My Rights. forget about ‘po ppl’ – cuz whether a person may have the strength of character to overcome his fnord training and PC affliction and admit it or not- he Does Not Really Care about po ppl and won’t do without the cream in his coffee for the sake of anonymous and even mythological po ppl. Nor should he. He should immediately react to the rude attempt to manipulate him with unearned guilt. And he does. so forget about po ppl. reach in my pocket; pull back a stump- or respect my rights. that’s the bottom line. Temperature gradient in the temperate zone is about half a degree of temperature per degree of latitude. So you’d have to move north about a kilometre (0.6 miles) to offset the warming. Vertically, it’s about a degree per hundred metres. So you’d have to move vertically about two metres to offset the a warming of 0.02°C. Geez, Willis. Get real. It is not without objection. MediaMatters is dedicated to finding lack of objectivity in the conservative direction in the news media and they are quoting the Detroit news as part of a story with the headline, “Editorial Boards Continue To Cite Debunked Study On Carbon Pollution Standards”. Thanks, Joel. That quote was about the estimated cost for the promised cooling. As I point out above, the total temperature difference which we’re supposed to get by 2100 is about the difference between the temperature at head level versus the temperature at floor level. Me, I wouldn’t pay $50 to guarantee that the temperature would cool that much today. And I damn sure wouldn’t pay $50 for a weak possibility that the temperature would be 0.02°C cooler a century from now. As a result, the Detroit News opinion about the cost is immaterial, and I’m sorry I mentioned it, since you are grasping at it to distract the unwary. Let me invite you to focus on the real issue. I still haven’t seen you grasp the nettle of the tiny size of the proposed cooling. Seriously, Joel, how much is 0.02°C of cooling today worth? If I wanted to sell you an air conditioner and I told you it would cool your house by 0.02°C, how much would you pay for it? Thanks, gnomish, but you seem to misunderstand what I’m saying. I’m saying that the actions of the climate alarmists drive electricity prices up, and this harms everyone. It harms poor people the worst, but I assure you, gnomish, it harms you and I as well. I can say “Muh Rights”, but since I sound like an ignorant hick when I do so, I try to avoid it. Next, I totally fail to see how my compassion regarding the poor is some kind of “attempt to violate Yer Rights™”. Which ones of Yer Rights™ does my compassion violate? All I’m trying to do is keep the damn electricity prices down, for the poor as well as the rich, and suddenly I’m trompling on Yer Rights™? How does that work. Finally, I am a member of the global 1%, what I call the Lucky Sperm Club, as are you. Even the poorest among us are immensely more wealthy than the Unlucky Sperm Club, those born into a world where you live on $1 a day. And if you truly think that you being born into the lucky sperm club is a result of you being a “winner”, and that those born into a world of living on $1 per day are “losers” … well, I can only say, it must not be much fun being you. I find that analysis likely valid in your case as a self-description. Your idea that it applies to all others, however, is deeply in error. Do you realize how dull, angry, and ignorant you sound? I doubt that you are those things, but dang, you’re giving a good imitation. I’m sure you have a point, and that some of the things that you value I value as well. I’m a proud man, and protective of my honor and my rights. But when you come on all raging like that, I just want to get as far from you as I can. I don’t want to listen to your ideas, even though I might agree with some of them, because they are so harshly and angrily posed. Finally, your claim that a six-year-old third-world kid dying of malaria on some dirt-poor remote Pacific island is a result of her or her parents not having enough “strength of character” is … well … deeply disturbing. I wouldn’t wave that flag too hard, it doesn’t redound to your credit. aw, willis. you show me i failed to be unambiguous enough. appeals to ‘da poor’ is a rhetorical device of use to a demagogue influencing the soi disant ‘thinking’ of an ignorant mob. it is distinct from ratiocination for which you have something of a claim to fame – it makes me cringe. why? i call it ‘the mascara moustache effect’. that’s a performance or behavior that doesn’t achieve your aspirations but merely betrays them. thinker or guru? one seeks truth; one is simply vain. finally, please name the six year old third world dying of malaria on some dirt poor remote pacific island (gawd, but that’s atrociously melodramatic crap)- or name all of them. and if you can’t, then admit it’s still a somewhat nebulous vision to you- a bit of a myth – something to conjure with. nothing to build a logical argument with, tho. I’ve questioned joelshore on this issue of unmeasurable/unfalsifiable “benefits” (how is cooling a benefit anyway — couldn’t warming be a benefit?) & haven’t gotten a response. Don’t hold yer breath — the only real benefit might simply be job security…. joelshore has wisely skedaddled. He couldn’t win an argument with me, much less with Willis. gnomish, you’ve clearly proven that don’t give a flying fark about most folks on this planet except your precious self. In particular, you truly don’t care in the slightest about those born into the Unlucky Sperm Club in places where people live and die on a dollar a day. Now, that’s not a huge surprise. You’re not the first developed-world egocentric jerkwagon I’ve run across in my life. However, most of them are sly enough not to advertise the fact that they don’t care about anyone but themselves. You don’t appear to possess even that level of primitive cunning. OK, gnomish, we got it. On your planet, the poor are poor because they don’t have, what was it you called it? Hang on … oh, yeah, they are lacking in “strength of character”. Wonderful. Can we move on to the real world now, where some of us do care about the other folks around us? For you, “the poor” seem to be some kind of abstraction. For me, having lived in the poorer parts of the third world for a good chunk of my life, they are my one-time neighbors and still my friends. As to the names of the kids that died of malaria in the third-world villages around where my gorgeous ex-fiancee and I lived, the ones I know the names of were the children of my friends. I will not disturb their memories, or bring up the heartbreak of my friends at their loss, by naming them for a sleazeball like you to jeer at. My wife ran the local health clinic on the outer Pacific island where we lived. During the three years that she ran it, I saw medical cases come in both to her clinic and to the local hospital on another island that would make you weep … well, maybe not you, but anyone with a heart would weep. For you, poor children dying of disease in the third world are just theoretical pawns in your rhetorical argument. You don’t even seem to believe that kids in the Pacific islands die of malaria. And you seem to think that you bear no responsibility if your energy-related actions further impoverish them. willis, i don’t think i’ve proven anything- but you have certainly lost your critical faculties in your rapid descent to ad hominem attack. question or attribute motive for the statement rather than addressing the content of it. optionally, imply insult without actually getting pinned down by slow witted targets who are inexperienced. simply assert that the statement is proof of malformed and malicious metaphysics- unless you hate children as much as the guy who said that. one surefire way to stymie an intelligent discussion is to play stupid- reason has absolutely no way of dealing with stupid. on this basis, then – with these tactics which are NOT logical argumentation- what did willis win? why, he’s successfully become the center of attention, not by brilliant reasoning, but by petulance and obstreperousness. it doesn’t get any cheesier than flinging dead babies . they are not pawns in my rhetorical argument. i’m not using the tools of the guru. they are rhetorical devices of your poor attempt at demagoguery. even as you pretend such great respect for the memories. now you say it’s my energy policies that impoverish these anonymous dead babies? cheesy tactic listed above. but to be perfectly clear: no, i bear no responsibility for anybody other than myself, duh. don’t even try to stick me with responsibility for anybody else. i am not my brother’s keeper, you cryptosocialist, you. and why do you bring your wife into this? and wherefore springs the phrase ‘strength of character’ from your pursed and pouties? i don’t know where you heard it, but you could do with a little understanding of what it means. one of the things it might imply is that a person chooses reason over insult; logic over drama. no, willis, you don’t have any slam dunk insults that can signify anything other than your wish for them. and that, willis, is your problem- meaning it’s not mine. i’m not on your guilt trip; your insults don’t touch me and you are not winning anything, much less some argument. that’s enough for free. that means you’ll have to find some way to reward me if you want additional attention. you’ll have to earn it. i’m not in the market for dead babies. try reason. i’m pleased to be able to name a new logical fallacy in your honor, willis. let it be known as Argumentum ad Infantes Mortuos, the dead.babbies fallacy. Ce n’est pas un bébé mort. Funny, eh? I agree, of course, with your argument with gnomish. But, in regards to what we were talking about, we seem to have come full circle where you are back focused on the first step by a single country in a long, collective process. In the end, what it really comes down to is this: Eventually, we will have to wean ourselves off of fossil fuels if for no other reason than they are a finite natural resource. However, there are enough of them to raise CO2 levels in the atmosphere to several multiples of pre-industrial values (the numbers seem to be roughly on the order of 5 to 10 times pre-industrial values) if we burn them all. The question thus becomes whether we wean ourselves off of them sooner (and avoid the consequences of raising CO2 levels that dramatically) or later (and don’t avoid those consequences). Or, in economic terms, the question becomes one of whether we continue to pretend there is no cost to using our atmosphere as a gigantic sewer for CO2 or whether we recognize there is a cost and at least roughly try to internalize this cost into our market economies so that the market does all of the cool and groovy stuff that markets do so well when there are not problems like externalities that screw them up. As for the poor, I agree with you that this is something that merits care in what we do…and a good argument for why a wealthy country like the U.S. should be doing more than its share (which is already substantial given our CO2 emissions) to solve the problem. But, the poor tend to lose out in any scenario: Yes, the poor can be hurt by energy becoming more expensive, but the poor are also more vulnerable to the consequences of climate change. Ah, I see you don’t understand how the redistribution system works. It moves money from the poor people in the rich countries … to the rich people in the poor countries. So indeed, both of them are true. It does hurt the poor, and it is a wealth redistribution scheme. Thanks, Joel, as I mentioned before, it’s always good to hear from you. First, I must object to the use of “sewer”. That’s a blatant appeal to the emotions that has no place in this discussion. Second, as your use of “sewer” shows, you seem to be under the impression that CO2 is a pollutant. Nothing could be further from the truth. Finally, a man who talks about external costs and doesn’t once mention external benefits is a man with an agenda. In general I strongly oppose the attempts to include such “externalities” because there is no agreement on what to include or exclude. … your move. Bear in mind that you need to show actual harm or benefit, not imagined future calamities. … the question becomes one of whether we continue to pretend there is no cost to using our atmosphere as a gigantic sewer for CO2. Amazing. He still believes that carbon dioxide is pollution! Hypothesis: CO2 is harmless at current and projected concentrations. That can be falsified by demonstrating global harm due to the rise in anthropogenic CO2. Theory: CO2 is a net benefit to the biosphere; it has caused a measurable greening of the planet. …and the ‘CO2 is pollution’ nonsense goes down in flames. We don’t need to do either adaptation or mitigation, since so far there is no valid scientific basis for alarm of any kind over CO2 levels, the increase in which to date over 19th century levels has been a huge boon to mankind & the planet. But should adaptation be called for between now & 2100 (highly unlikely), that would be far cheaper & preferable to shutting down industrial civilization with attendant deaths of billions of people, as you advocate. What the USSC may or may not have found could not be less relevant. The fact is that Obama’s EPA is a rogue agency intentionally thwarting the will of Congress, ie the People, by spewing anti-scientific garbage. Our atmosphere is being used as a gigantic plant fertilizer, not sewer conducting dangerous waste away, but a delivery system for life-giving, vital nutrients to enrich the planet. Appalling that our tax dollars support drains on society like Joel. I agree, of course, with your argument with gnomish. But, in regards to what we were talking about, we seem to have come full circle where you are back focused on the first step by a single country in a long, collective process. Look out the window, my friend … do you see the rats jumping into the sea? Germany is going back to lignite. Spain has dumped its green subsidies. Australia has thrown out the carbon tax. Canada says it’s done with the game. Russia has walked out from Kyoto, and Japan has declared themselves out of the game. You started this by saying it would encourage people to sign on. I asked for evidence. Instead, you’ve just restated your fantasy, that other countries will join in our pointless self-flagellation. Which other countries? Russia? Canada? Australia? Japan? I can guarantee that China is laughing all the way to the bank as they watch the cowboy nation shoot itself in the foot. Your claim that this is “the first step by a single country in a long, collective process” is a stillborn joke. In the end, what it really comes down to is this: Eventually, we will have to wean ourselves off of fossil fuels if for no other reason than they are a finite natural resource. We will transition to the next energy source when it is market-ready, without any need for either scientists or bureaucrats or politicians to do it. I’m tired of people like you assuming that we have to somehow orchestrate the next shift in energy. And do you know why I’m tired? Other than the unpleasantness of the “daddy knows best attitude”, it’s because every time scientists and bureaucrats and politicians get involved, we get another billion-dollar boondoggle like Solyndra or ethanol or the bottomless pit of solar subsidies. I’m tired of my money being wasted. However, there are enough of them to raise CO2 levels in the atmosphere to several multiples of pre-industrial values (the numbers seem to be roughly on the order of 5 to 10 times pre-industrial values) if we burn them all. The question thus becomes whether we wean ourselves off of them sooner (and avoid the consequences of raising CO2 levels that dramatically) or later (and don’t avoid those consequences). Mmmm … as near as I can see, we probably will transition, without benefit of clergy, to some new energy source at some point during this century. However, given the coal reserves, tight oil, shale gas, and methane clathrates, I doubt greatly that we’ll be out of fossil fuel by then. And by that point, unless something very radical changes, it is unlikely that we will be at twice the current CO2 levels (which would be 0.8%, in place of the current 0.4%). I’ve run the various scenarios, it just doesn’t go up that fast. Finally, where is the evidence, Joel? You are a scientist. Where is the evidence that increasing CO2 will perforce increase the temperature? I am aware that it works like that in the lab, but the climate has a host of compensating mechanisms. So where is the real-world evidence that rising CO2 will perforce increase the temperature? … As for the poor, I agree with you that this is something that merits care in what we do…and a good argument for why a wealthy country like the U.S. should be doing more than its share (which is already substantial given our CO2 emissions) to solve the problem. But, the poor tend to lose out in any scenario: Yes, the poor can be hurt by energy becoming more expensive, but the poor are also more vulnerable to the consequences of climate change. Yes, the poor are currently being hurt because energy has already become more expensive, but the poor are also more vulnerable to the possible future consequences of climate change in fifty years. Now me, I’m not willing to trade a current, guaranteed increase in poverty, want, and death for a possibility that cutting CO2 will someday do … well, something unspecified but good. Also, while I think your concern for the poor is genuine, there are other people who seem to only discover the concerns of poverty and the huge inequities in wealth in the world when it comes to environmental regulation. The 80/20 rule applies just about everywhere, there are plenty of what we used to call “Easter Christians” in every religion and walk of life … and? I think we can do more to help the poor of the world without causing great destruction to our environment. Do NOT try to play the environment card with me, I won’t wear it. The idea that CO2 is a danger to the environment is a canard, and you as a scientist know it. The real danger to the environment is poor people, which is in part a function of the unavailability of cheap electricity. It is your actions in jacking electrical prices that are harming the environment, not CO2, and I will not allow you to pretend otherwise. joel- while you blithely propose to expropriate (steal) or redistribute (steal) from ‘a wealthy country’ and mendaciously characterize the plunder as ‘a proper share’- and while simpletons may fall for ‘self sacrifice is a virtue’ despite the obvious self contradiction- do not try to steal from me. you have NO right to MY stuff. reach in and you will pull back a stump. where my rights begin, yours end. End of story. let’s see a weaner make a quagmire of that. Odd, since you seemed to condone stealing (software piracy) some time ago on Chiefio’s blog. I guess your rights are more important that other people’s. mr. alberts, if something isn’t missing, how can there be a claim it was stolen? and how do you propose to force me to accept specious notions such as monopolies on conceptual entities. i don’t think your model works. half the traffic on the internet supports my observation that your model is broken, not reality. And, you’ve just proven mine and Willis’ points. anyway, mr. alberts, i don’t care if you’re royal and claim the color purple- this is off topic and such a rerun for me. i have sparks to spray and hot blue chips to gouge off some steel, so your metaphysical contradictions can’t compete for my attention. ciao. Well, let’s see. Suppose you come up with a brilliant idea for a new movie. It’s a guaranteed winner, no question, and all the studios will be interested. So … you mention the idea to your friend, and he steals your idea, produces the movie, and wins an Oscar for the screenplay. Now in law, this is definitely theft. You can’t steal a man’s idea for a movie or for say a lovely song without getting accused of theft, and rightly so. And I suspect that you, gnomish, would be quite willing to take the man to court. But in your bizarre gnomish universe, since no one can physically take your idea, and since the idea is “not missing” from your brain, and since the guy who came up with the song can still sing it … in your world, there is no theft. Do I actually have to explain to you how wrong this idea of yours is? It’s just a pathetic attempt to justify you being a thief. Do not try to steal intellectual property from me. You have NO right to MY ideas, my songs, or my software. Reach in and you will pull back a stump. Where my rights begin, yours end. For a man who says stuff like that about other people theoretically stealing from him, you are sure willing to condone it when you are actually, not theoretically but actually stealing from others … again, no surprise. right, willis. you and your thought police. when you look at a reproduction of the mona lisa, do you think it’s been looted from the Louvre? anyway, if you find your ideas missing, you will just have to take responsibility for it. Dude, clearly you don’t get it. I can’t even rustle up any minions, and every self-respecting megalomaniac in the comics has minions. Doc Ock has minions, Ming the Merciless has minions … but where are my minions? So I fear that your claim that I have “thought police” merely shows a very dim grasp of reality on your part. Here’s how these things work, out here in the real world. AFTER I get the minions, I’ll use them to excavate my super-secret lair under the dormant volcano. Then, and only then, will I hire the thought police. Those jokers are really expensive, and besides, I need to have a lair to hide in while they regulate your thoughts. The underlying problem is, I (and my minions) will be running what is … well … I’m kinda embarrassed to say that it will be sort of a low-budget “take over the world” scheme, I’ll have to pinch pennies, and I surely can’t afford to pay the thought police to just hang around today while you and I are having this conversation. Not only that, but the thought police refuse to do any physical labor, even sweeping up, saying “We’re THOUGHT police, our Union says we can’t police up cigarette butts”, so I can’t put them to work with the minions. As a result, the thought police won’t be on-line for a while yet. this has been the uncut basis of willis’ perorations. at the same time, i dispute your characterization of my remarks which are objective observations – for example that you do allow insult but say you don’t and then accuse others of insult where there was none as you destroy the evidence. it looks like a leaf from the lewandowsky playbook. Not worth it, Willis. He’s just an anonymous coward who spends a lot of time at thesaurus.com, yet can’t be bothered to punctuate properly. Oh, and BTW, “anonymous coward” isn’t an insult in this case, it’s a fact. Thanks, Jeff. You’re right, of course, but his last comment, about me and the thought police, just begged to be expanded upon in the best Onion fashion, so I did it. Yes, I know I’ll likely go to the place of eternal barbecue sauce for it, but dang … it was worth it. … so forget about po ppl. reach in my pocket; pull back a stump- or respect my rights. that’s the bottom line. So already, in his first post, I’ve missed the boat, I’m “especially dumb”, and I’m being threatened with the loss of my hand. So now, in the second comment, I’ve been promoted to a “demagogue” using “rhetorical devices” to influence the “ignorant mob”. Not only that, but I’m famous for “ratiocination”, and I’m not achieving my aspirations. And that’s just his first two comments. From there, he went on his usual downwards spiral. Look, if a man wants to show me where I’m wrong in my claims, I’m always happy to listen. In fact, I depend heavily on my readers to keep me on a valid scientific course. But gnomish needs to learn that walking into a discussion and immediately starting up a steady string of accusations that a man is acting dishonestly … well, doing that is going to get your face slapped most places on this planet, including my threads. Not only that, but it’s pretty much guaranteed to lose you traction and turn people against you. Gotta confess … I don’t see why someone would want to commit public seppuku in that fashion. Ah, well. The beat goes on, the mania continues. Your support is appreciated, Jeff. no, willis- you’re the sharpest tool in the shed but you don’t write the talking points and frame all the views. i asserted that the argumentum ad infantes mortuos has no compelling powah – doesn’t work.. joel came by and we learn that he is happy to use the same logical fallacy to arrive at conclusions opposite to yours. that’s the nature of logical fallacies and one way to demonstrate the falsehood. to refute his proposition on the basis of rights, however, leaves him no argument at all. thus, my both assertions, which were that a certain logical fallacy was not a winning argument and that an argument on the basis of rights is and always has been was thereby demonstrated true in this case on this thread. if you obtained no value from the topical lesson because you were otherwise occupied with swooning, you just miss out. if you lash out with insult, unfounded accusation and all manner of impertinence, it must be that derailing the thread for it is expected to accomplish something of personal value to you at the moment. if you try to spin that into a virtue, though, no. it does not mask anything. it exposes much more. i was wondering if the ‘anonymous coward’ flag would be flown. i wasn’t sure if it had got quite that bad. of course there may be some practical consequences- if you drive off the anonymous ‘cowards’ you drive off the anonymous ‘donors’. so that’s probably not the most respectful way to comport onerself as a guest.. somebody can explain it, maybe, who has more of an interest. mine has been rapidly flagging. I write to congratulate you. It is the objective of every troll to destroy debate of a subject by deflecting the debate onto something else. And many trolls are anonymous cowards; i.e. they throw insults at others while hiding behind the coward’s shield of anonymity. Thus, anonymous cowards troll threads by use of insults which cannot be returned because it is not possible to insult an unknown assailant. You have used the anonymous coward’s method of trolling to completely deflect this thread from its subject. Congratulations! The barbarian has entered the gates and destroyed the city. I like it! Mind you, I still prefer Mr Zappa’s “the place where the guy with the horns and pointed stick conducts his business” but your runs it close. Oh, and fwiw, I’ll take notice of you over an illiterate troll anyday. Keep up the good work. in good faith, i’ll try to demonstrate one more time the thesis i presented. richardscourtney, your contribution to this thread is duly noted and it is completely understandable why you would strive to keep it in a ditch because the concept of rights is anathema to the socialist. the dead baby fallacy is hereby defined as the notion that somebody’s need is a blank check on anybody else. it is the very foundation of socialist ideology. in the socialist toolbox, there are but 2 items and that’s the most cherished – the ability to persuade people to give up their rights for the sake of somebody else’s need. if the dead baby fallacy doesn’t work, what have you got left? naked force. so i’m stating with the utmost conviction that the concept of rights is the cure for the socialist cancer. it is the only cure. there is no other. arguing a case on that basis stops the con.